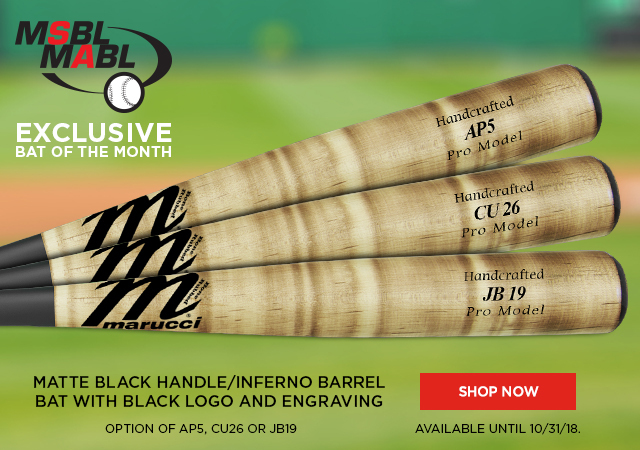 Marucci is the official bat of the MSBL. Why? 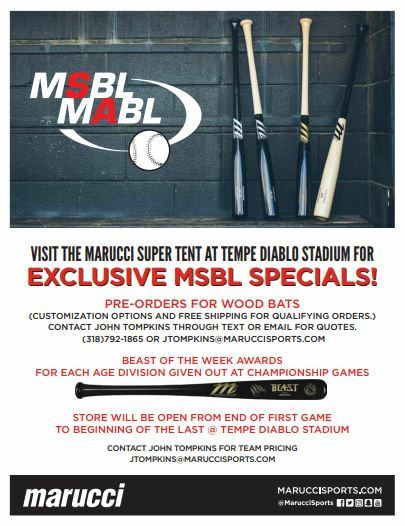 Ask John Tompkins, Director of the Marucci Mobile Tour which makes a three week stop in Arizona as part of the MSBL World Series. He is in charge of what goes on in and around the ‘Marucci Tent’ at Tempe Diablo Stadium during this year’s World Series. Marucci will once again be the exclusive bat representative and will be located on the main concourse patio of the stadium. “Right now over 50% of all big league bats are Marucci,” explained Tompkins. “This also includes Victus, another quality bat company that we recently acquired to further strengthen our standing with the professional or amateur player. Our bats are game-ready for the pros before they leave the building. 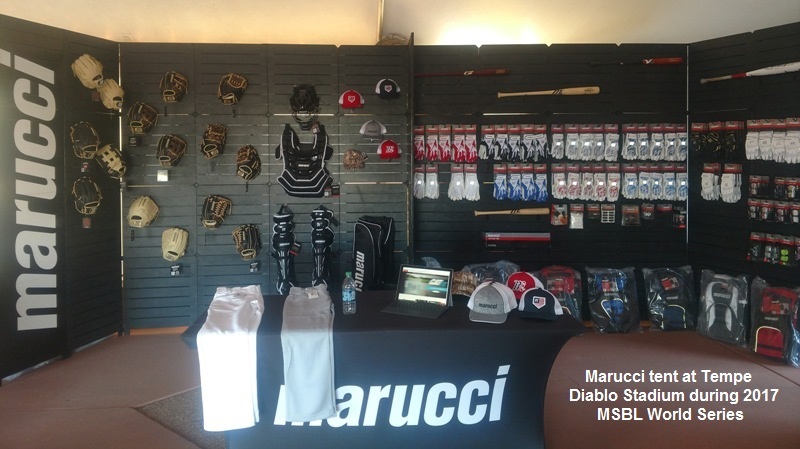 Marucci has been involved at the MSBL World Series for the past three years, with 2017 being the first as an exclusive bat company. 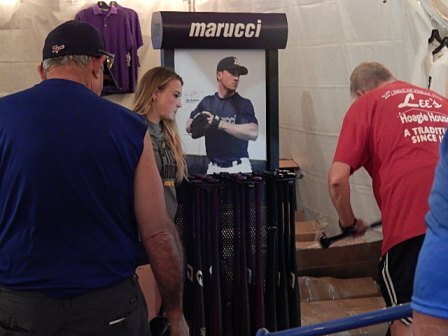 One visit to the Marucci tent also shows you that they are much more than just a barrel of bats for you to purchase. They have uniforms, belts, batting gloves, fielder’s gloves, pine tar, apparel and all sorts of baseball accessories. 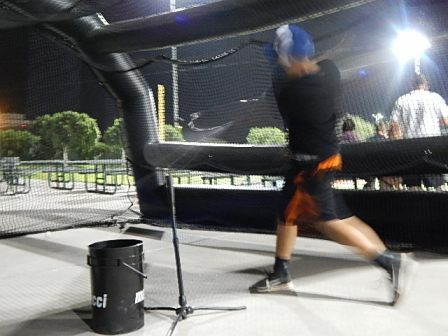 They even sport a batting cage to try out the products. Last year was a learning experience as they listened to what the players wanted. This year there are some exciting changes in store. There will be three ‘welcome’ barbecues this year being held right next to the Marucci tent on the Tempe Diablo concourse patio. They will take place the first two Thursdays of the three week tourney, October 18th and 25th, from 4:30 to 8:30 and then the same time on Sunday, October 29th. Make your plans to attend, as Marucci will be raffling off a dozen bats at each event!